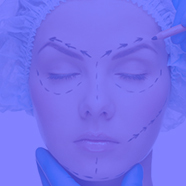 Dr. Matt STEFANELLI is a French & European Board certified Plastic, Reconstructive & Aesthetic Surgeon. He is a member of the French College of Plastic Surgery (CFCPRE) & the European Board of Plastic Reconstructive and Aesthetic Surgery (EBOPRAS). His main activities are Aesthetic Surgery, Reconstructive Surgery & Genital Plastic Surgery. He is currently working in a private practice in Paris. Dr. STEFANELLI is involved in anatomy education being the co-founder & president of the International Society of Anatomy for Aesthetic Medicine and Surgery (ISAAMS), and also the co-founder & CEO of iClass Anatomy, the educational affiliate of ISAAMS. 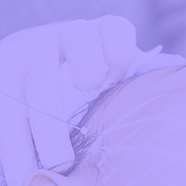 Dr. STEFANELLI is a consultant in aesthetics for various companies, performing anatomy workshops & live demos worldwide. In addition, Dr. STEFANELLI holds a Master of Business Administration in Heath Management and gets involved in volunteer plastic surgery in Africa, South America and Asia as the co-founder & general secretary of Worldplast Charity Foundation.